As the number of connected devices rises, new technology standards have developed to handle the growing IoT space. While smartphones use cellular networks for their data, many IoT devices (for example, a smart water meter) only need to transfer small amounts of data. Relying totally on cellular or satellite networks would be expensive and use too much battery power for most devices. Similarly, WiFi and Bluetooth networks are not always a good or cost-effective solution. Most IoT devices don’t need to be in constant contact with a cellular network, so a new type of network was needed. Enter the LPWAN. LPWAN stands for Low-Power Wide Area Network, a wireless network designed to efficiently connect smart devices across long distances, usually through a low bit rate. LPWANs are ideal for IoT devices that don’t need to manage large amounts of data, or for circumventing more expensive gateway technology. This can include smart meters, consumer products, and sensors. The overall value of the LPWAN market is expected to reach $25 billion within 4 years. Many technology articles compare LoRA and NB-IoT technologies as if they were battling it out for dominance in the IoT market. In reality, these technologies are two branches within an emerging technology ecosystem. Similar to WiFi and Bluetooth, they will most likely to diverge into different niches, rather than directly compete with each other. This article will dive deeper into the capabilities, costs, longevity, maturity, and other differentiators of NB-IoT and LoRa-based technology. What are LoRa and NB-IoT? LoRa and NB-IoT both operate within LPWAN technology. They are two major standards for low-power IoT devices. The LoRa Alliance developed LoRa in 2015 as a secure, energy-efficient IoT standard that makes it easy to onboard new devices. LoRa is shorthand for Long-Range (WAN) and is a modulation technology for LoRaWAN. LoRaWAN is a related set of low-power specifications for IoT devices. LoRa and LoRaWAN are not interchangeable terms; LoRaWAN refers to a LPWAN protocol standard and is not a technology in and of itself. LoRa defines the physical layer. Its security standards emphasize end-to-end encryption, data authentication, and intelligent key derivation. NB-IoT is an abbreviation for Narrow Band IoT, a cellular standard developed by 3GPP. NB-IoT is not a standalone technology, but a cellular standard that aims to standardize IoT devices to be interoperable and more reliable. It can be implemented in a standalone or in-band spectrum manner and does not require gateways, while each LoRa device needs a gateway to function (which can affect total cost). NB-IoT connects base stations directly with sensors. Both LoRa and NB-IoT standards were developed to improve security, power efficiency, and interoperability for IoT devices. Each features bidirectional communication (meaning the network can send data to the IoT device, and the IoT device can send data back), and both are designed to scale well, from a few devices to millions of devices. The most important differentiator of LoRa and NB-IoT is their latency. Here’s a quick refresher on network latency: networks and devices communicate with each other using data packets. But these data packets don’t always get transferred immediately, because it eats up battery power and network coverage. Latency is the time delay in transferring data after making a transfer request. A low latency device “checks in” with the network more often than a high latency device. For instance, a smart sensor detects that a pipe has broken and needs to send an alert to the network. If this sensor is high latency, it doesn’t transfer data to the network very often, and it might be a few hours before the network receives the alert. If the sensor is low latency, the network will receive the alert much sooner. Because LoRa devices use gateways, they work well in remote or rural areas without 4G coverage. They use unlicensed spectrum to communicate with the network. They also work well when they are in motion (for instance, on a truck, plane, or ship). This makes them well suited for supply chain and transportation applications. LoRa’s geolocation is non-GPS, so devices offer location services without heavy battery usage. NB-IoT devices don’t need a gateway, and they rely on 4G coverage, either using spectrum within LTE, GSM spectrum, or “standalone,” which refers to unused frequency within LTE guard bands. This means that devices with NB-IoT chipsets perform better in indoor applications and dense urban areas. NB-IoT uses GPS technology for geolocation. While NB-IoT and LoRa are both designed for low-power devices, NB-IoT’s lower latency means that it uses battery juice faster than LoRa. The trade-off is that it can guarantee a better quality of service (QoS) than LoRa due to faster response times. NB-IoT also boasts much higher data rates than LoRa. What are optimal uses for each technology? Depending on the needs of an application, one technology may be more suitable than another. For most applications, the biggest considerations are latency, battery life, coverage, and cost. In this capacity, NB-IoT and LoRa serve different purposes. Most meters process only modest amounts of data each day, so LoRa is best for most applications, assuming that the cost of installing a gateway is not prohibitive. NB-IoT is a good choice for applications that need more frequent communication or high data throughput. Industrial automation takes many forms, and there is no one answer for this space. NB-IoT is a better choice for manufacturing applications that need more frequent communication and guaranteed QoS, while LoRa is a better choice for lower-cost sensors and longer battery life. Both are useful in different environments. NB-IoT is a better choice. Retail transactions involve less predictable data and surges of customers, so the low latency of NB-IoT is not a good fit. Retailers risk losing sales (and customers) with the long latency time of LoRa applications. LoRa is the clear winner for supply chain and transportation applications, because its mobile gateways perform reliably on a moving vehicle. Because shipments in transit or in storage don’t need to transfer much data, LoRa’s higher latency, lower data rates, and longer battery life all make sense. LoRa is also better suited for coverage in rural warehouse areas. LoRa is the better choice for most smart buildings, due to easier placement of gateways. However, buildings have their own electricity supplies and therefore have less of a need for LoRa’s battery efficiency, so NB-IoT may be a better option for smart buildings with very high data throughput or a need for very low latency, such as high-security facilities. 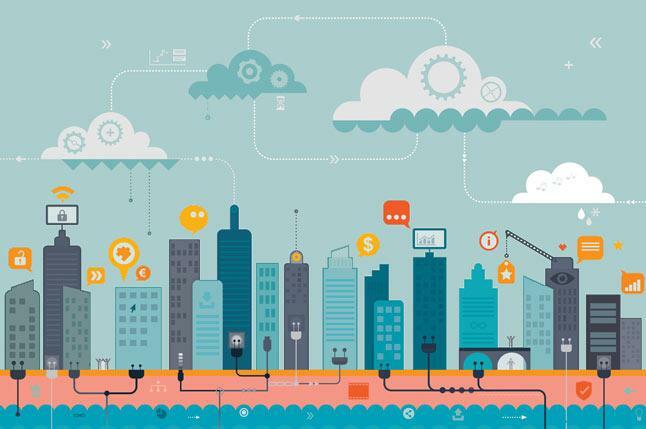 NB-IoT is also likely better for smart city networks that connect dozens or hundreds of buildings, whereas LoRa is better for a single-building application. Spotty cellular network coverage in rural areas makes LoRa the obvious choice, since LoRa doesn’t require 4G. LoRa works particularly well to track agricultural indicators, such as water usage, soil pH, and temperature gauges, which don’t shift rapidly or need immediate responses. Not only that, LoRa’s lower price point is a top selling point for farmers. LoRa had an early two-year lead, and highly integrated LoRa modules are already available on the market for a competitive price, with more options already in development. LoRa is already considered the IoT network industry standard for several countries, including the United States. NB-IoT options are new but are already gaining traction in industry spaces that aren’t a good fit for LoRa. The technology as a whole is expected to mature quickly due to the enormous market demand. Sigfox is a connectivity company whose LPWAN technology compares closely with technologies within LoRa and NB-IoT standards. Their ultra-narrowband technology uses ISM (industrial, scientific, medical) radio band. While Sigfox is growing in the space, it has not yet approached the market penetration of LoRa and NB-IoT. Sigfox’s claim to fame is its ability to cover large areas, including underground objects. The major drawback is its low throughput (about one third of LoRa) and much lower payload/message size (10 bytes vs. LoRa’s 50 bytes—in other words, its maximum message size is about one fifth of LoRa’s). Although Sigfox and LoRa compete more directly than LoRa and NB-IoT, Sigfox is more of a race for regional coverage, similar to the way GSM and CDMA race in the early days of cellular networks. In the end, there is no clear winner between NB-IoT and LoRa standardized devices. They address different needs. They are each part of a fast-growing network ecosystem that will host nearly 50 billion devices by the end of 2020. We specialize in staying ahead of the telecom technology curve. Get in touch with us by emailing [email protected].